A stone barn and separate garden. 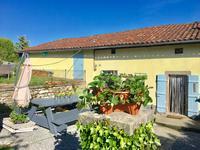 Stone barn of approx 60m² with separate garden of 145m², situated in a hamlet close the . . .
Great value 3 bedroomed house with garage and attached garden. Great price for this immediately habitable property with garage and attached garden. . . .
Building plot of 2030m² on the edge of a small hamlet between St Mathieu and Les Salles . 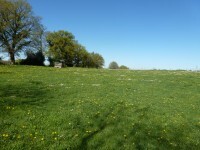 . .
An easy walk to the village bakery, this large plot is situated right on the edge of the . . . Pretty renovation project with room for 3 bedrooms. Good roof and connected to mains drains. Village house to renovate entirely with 2 rooms (25m² & 17m²) on the ground floor, 2 rooms on . . .